Moth Week continued for me in Keene NH, the home of The Caterpillar Lab, run by the caterpillar photographer/whisperer Sam Jaffe. Sam is a wonderful naturalist, who ambitiously has undertaken this caterpillar outreach project. Sam and his minions currently have a physical lab where they keep their livestock (hundreds of caterpillars! ), which is periodically open to the public. 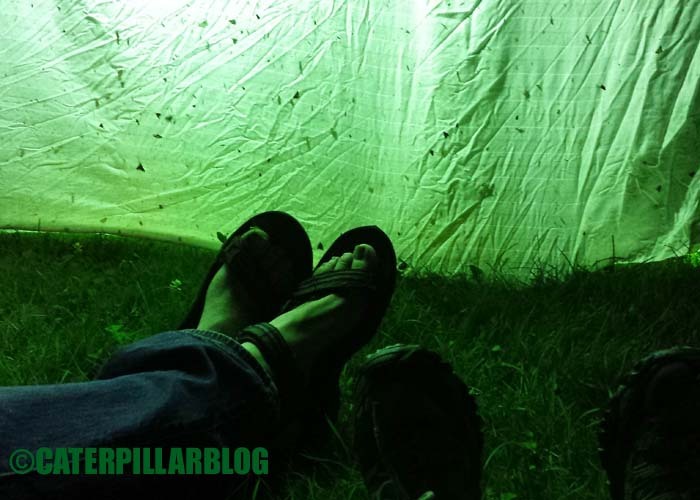 They do caterpillar shows at farmer’s markets and museums, you can see their schedule on their facebook page. Here is just one of their charges… a gigantic Citheronia regalis caterpillar. Also known as the hickory horned devil… for obvious reasons. We help each other out by trading eggs and caterpillars, and that is always a good excuse for a visit. 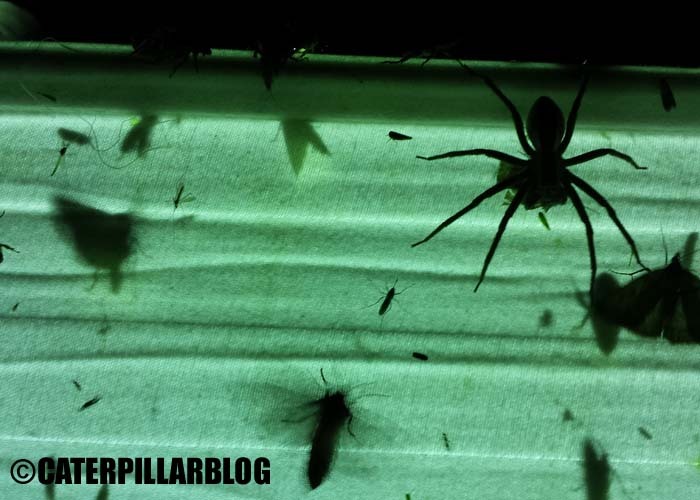 His intern Liz allowed us to blacklight at her place, and so the bug nuts gathered round. This pic of the sheet was pretty early in the night, it was really hopping by midnight! 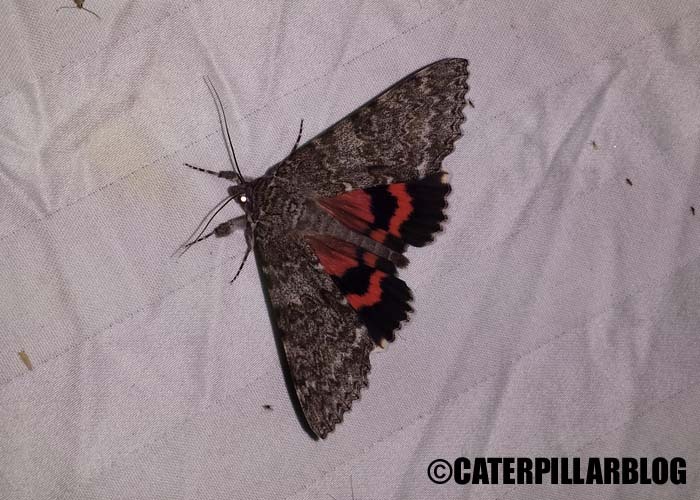 It is the time of year for Catocala, the underwing moths. This big one is Catocala unijuga, the Once-Married Underwing (I sure wonder how it got that name?) We also got a few female dobsonflies (Corydalus cornutus), they look like they are straight out of a horror movie. And much more vicious than the males, who have larger, but ineffectual, mandibles. Waiting at the sheet… We also got a few spiders… this fishing spider ate quite a few of our moths! 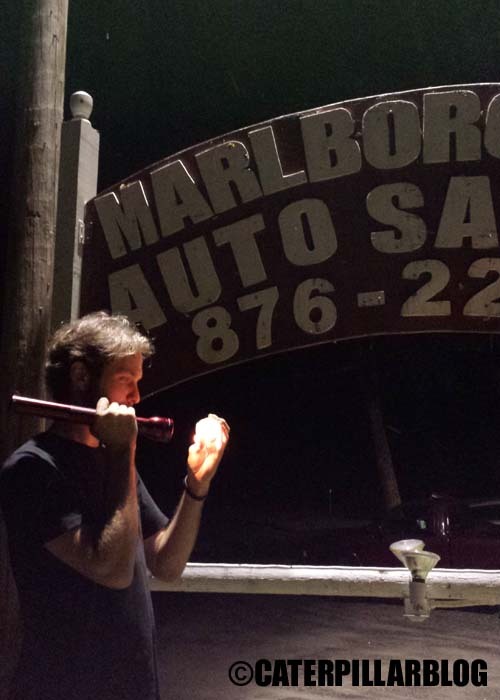 We decided to take a break from circling the sheet for some gas station light hopping. Sam has a few favorite spots. Despite my enthusiasm, I fell asleep on the car ride (though I’m told I was muttering some weird things in my attempt to stay awake and make conversation). 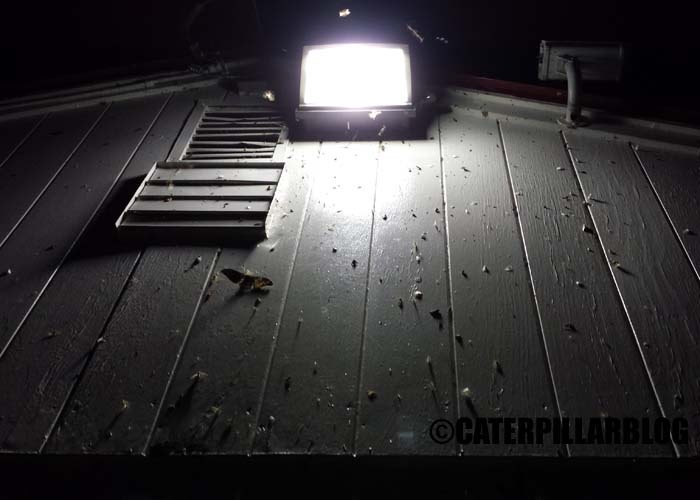 Luckily I rallied and arrived well rested and ready to catch some more moths. There was a big Antherea polyphemus waiting for us, as well as a wall covered in wonderful moths. Including this sphingid, the Hydrangea sphinx, Darapsa versicolor. We were very disappointed that it was a male. Still a nice find though! 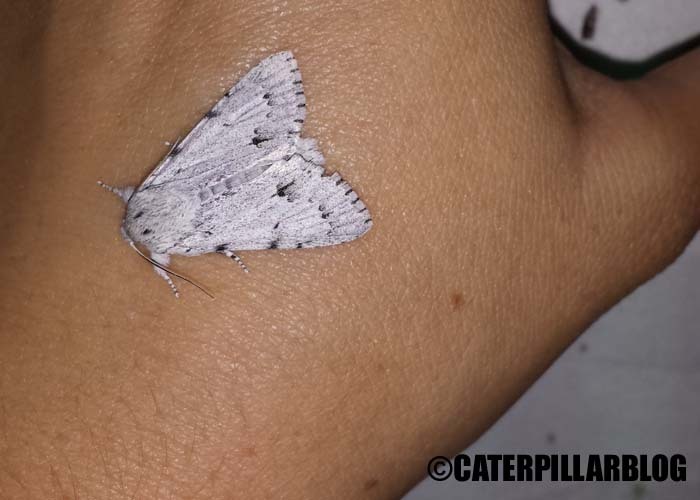 At the next stop we hit another jackpot – plenty of Acronicta moths for me, and a few other pretties. I love the patterns on this one, I was excited to finally see one! The lettered habrosyne, Habrosyne scripta, in the family Drepanidae. A pretty little Acronicta lepusculina. 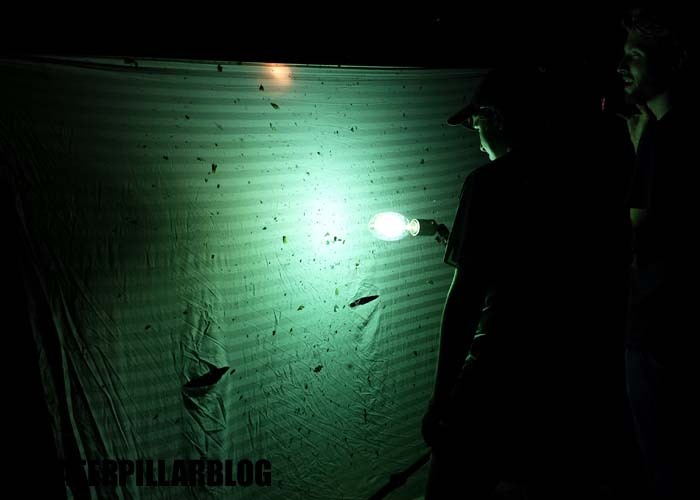 We ended up back at the sheet, where I snagged a few more moths. 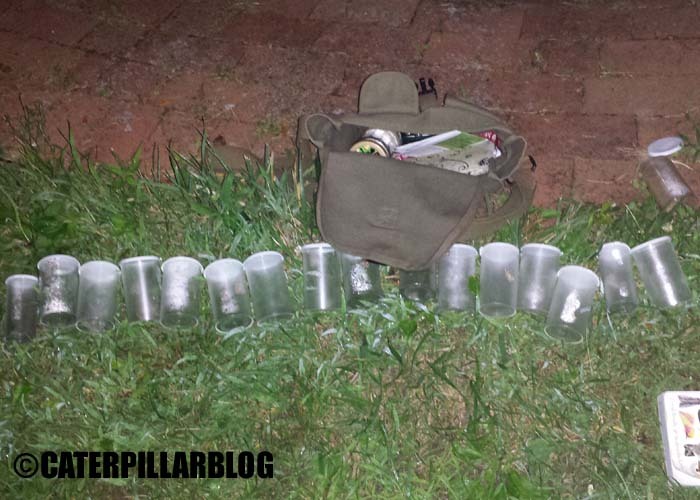 All of these vials contained a female Acronicta, pretty amazing for one night! I’m never disappointed collecting in NH. I did learn something interesting, we have noticed a pattern – the female Acronicta moths tend to come out earlier. Once we get to about midnight, it’s almost all males at the sheet. Eventually we packed up, sorted moths, and got some sleep. Not a bad way to celebrate national moth week. Posted on July 26, 2014, in Acronicta, Acronictinae, Lepidoptera, National Moth Week. Bookmark the permalink. 11 Comments. Oh, wow, gorgeous finds! 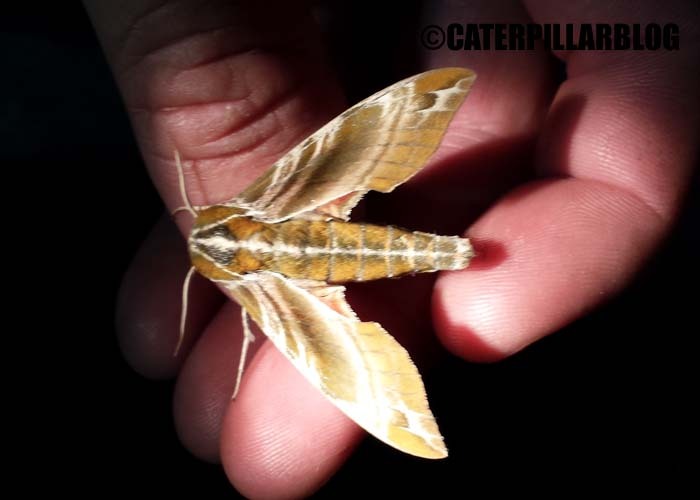 I love all the moths you got, I have never tried catching night insects like this, but I would love to! Well done you! Having a micro sd card makes one feel a sense of stability. Combined physical activity with the outdoors, promotes a curiosity for nature and discovery. One of the biggest franchises is the Call of Duty series. for young women, as well as Detective Barbie and Mystery Cruise. over time. This part is merely the adapter. It’s truly a nice and useful piece of information. I am glad that you shared this useful info with us. hello how are you , waw bauty moment ,,it was nice to find an article that is very useful as this . really really helped me in gaining insight and knowledge . Thanks for the content. I found this easy to read. I look forward to your next upload.